Medical malpractice occurs when a medical professional is negligent in their care of a patient. Many times, medical malpractice claims stem from misdiagnosis, failure to diagnose, or surgical errors. However, there are not very many successful cases of cosmetic surgery malpractice. Cosmetic surgery is just that—cosmetic—and is more often than not unnecessary. Additionally, with cosmetic surgery procedures, you may be unhappy with the outcome, but that does not necessarily mean that the surgeon was negligent in their care of you. 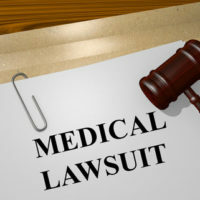 For this reason, if you want to file a medical malpractice claim, you may face some unique challenges with your case. Read on to learn what you can expect by bringing about a medical malpractice case after a botched cosmetic surgery procedure. First, it is important to understand just what type of errors can lead to a successful malpractice case for cosmetic surgery gone wrong. There are two main types of errors: procedural errors and inexperienced surgeons. Procedural Errors – Procedural errors basically means surgical errors. If the surgeon messed up any part of the surgery, they could be held liable for botching the surgery. Other problems that may arise include post-operative infections, complications from anesthesia, and negligent injection of drugs like Botox and other cosmetic enhancers. Inexperienced Surgeons – If a surgeon claims to know what they are doing or claims to have a license to practice when, in fact, they do not have the requisite experience and certification, they could get into a lot of trouble in addition to losing the medical malpractice case. Unfortunately, the cosmetic surgery field is full of unqualified surgeons, as cosmetic surgery is not covered under insurance, and therefore, payments are immediate and obtained hassle-free. The Surgery Was Unnecessary – Unfortunately, if your case goes to trial (which it is likely to), it will be judged by a jury. Juries tend to think that people who opt for cosmetic surgery know the risks involved, and therefore, are responsible for whatever outcome they receive. Moreover, settlements awarded in successful cosmetic surgery malpractice cases tend to be much lower than regular surgery malpractice cases. Again, juries are not sympathetic to victims of cosmetic surgery malpractice and feel that because they choose to undergo the surgery, they should be partially at fault for the outcome. Biased Jurors – Most jurors do not look lightly upon people who pay to have their looks enhanced via surgical methods. Many jurors may feel that the botched job is the plaintiff’s punishment for being too vain, too lazy to work out, or even for excess spending. Though this is not a fair or logical approach to determining the outcome of a malpractice case, it is one often used by selected jury members. While the judge will do their best to choose unbiased jurors, most people’s prejudices do not come into play until after hearing the facts of a case, at which point, it is too late to throw them out. In essence, victims of botched cosmetic surgery have a very difficult road ahead of them if they choose to pursue a malpractice claim. While the law will always come into play, it is difficult to extricate the human element from the case. Though a jury will be selected as carefully as possible to ensure there is as little bias in the courtroom as possible, it is impossible for a judge to predict how a juror will respond upon hearing the facts. For this reason, the best way to a successful outcome and a fair settlement is through the help of an experienced Miami medical malpractice lawyer. An experienced attorney is familiar with a number of juror profiles and can effectively shape their arguments so that it appeals to the most members of the jury. Combine this skill with a thorough knowledge of Florida medical malpractice law, and you have a fighting chance of obtaining a victorious outcome. If your cosmetic surgery went awry, and if you truly believe that medical negligence was the cause, reach out the Miami medical malpractice lawyers at Spencer Morgan Law today. Call 305-423-3800 to schedule your free consultation.